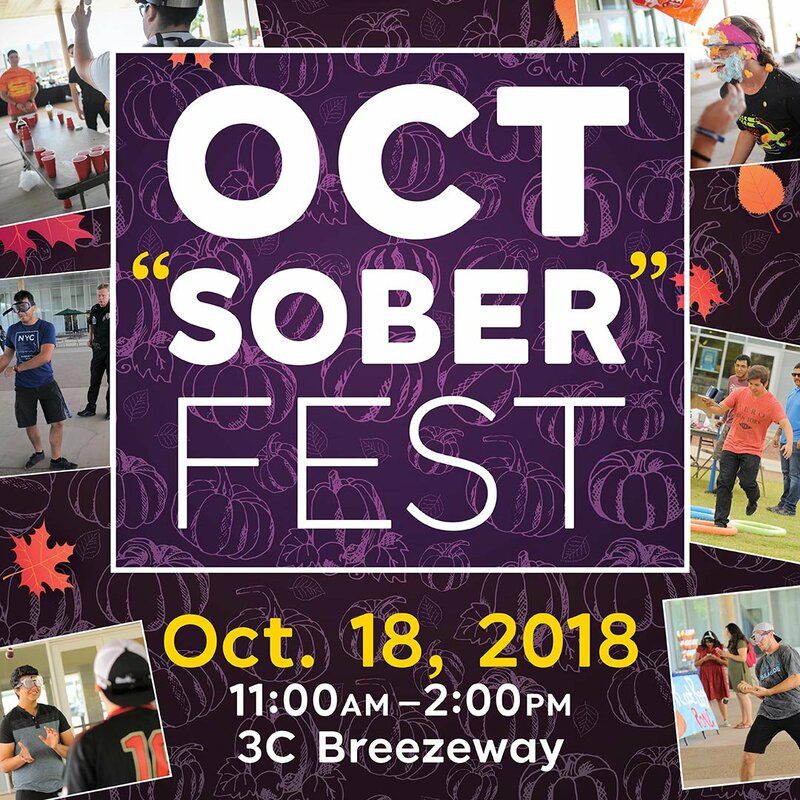 For the past three years Arizona Western College has held OctSober Fest, an event intended to provide educational information to students on alcohol and drug abuse. Event coordinator Shara Roberts, along with members of the Health and Wellness Center, gather together every year to come up with interactive activities to draw students in. “It can be a dry, uncomfortable topic,” said Roberts quipped. She adding that learning about taboo subjects is easier while having fun, so the goal is to make students feel comfortable enough to willingly interact. One of the games for example, was designed to simulate what it feels like to be under the influence of alcohol. Most of the students were surprised that such would be the effect caused by alcohol, some even claiming it was a scary experience. Jonny added that he was not looking forward to abusing the substance carelessly. OctSober Fest is not the only opportunity for students to seek guidance when it comes to the abuse of substances. The Health and Wellness Center is able to provide support for any student who is going through stress in their everyday life or in college situations. Sometimes people are unwilling to admit that they are going through hardships due to embarrassment and fear of being judged. Students are able to make appointments by contacting the Health and Wellness services by phone at (928-314-7602) or email (Christine.Rouff@azwestern.edu). If you or someone you know is going through any kind of hardship, be it substance abuse, stress, anxiety or any issues jeopardizing your wellness, do not hesitate to contact the Wellness Center. In case of dire need, the Center would refer you to a professional in order to make sure your issues are resolved.